Background/Purpose: 14-3-3 eta is a synovial-derived biomarker whose serum expression is independently associated with joint damage in RA and PsA. We previously reported that 14-3-3 eta pre-treatment levels predict a Good EULAR response in RA patients on anti-TNF therapy and that the change in 14-3-3 eta titres correlates with measures of clinical improvement. We therefore examined whether a change in 14-3-3 eta expression may also serve as a useful marker of adalimumab therapy response monitoring in PsA. Methods: Serum 14-3-3 eta levels of 24 patients (15 males and 9 females) with active PsA fulfilling the CASPAR classification criteria were measured before receiving adalimumab therapy and 8- or 12-weeks post-treatment. Clinical assessment at those time points included SJC68, PASI, CRP, ESR, DAS28 and ACR50 response. Pearson correlations (r) were performed to examine relationships between the changes in clinical variables and the change in 14-3-3 eta (Δ14-3-3 eta). Contingency analysis was used to determine if absolute decrease, increase or no change in 14-3-3 eta post-treatment levels corresponded with an ACR50 response. Regression analyses were performed to determine the predictive power of changes in CRP (ΔCRP) and Δ14-3-3 eta for that response, represented by the significance of chi-square likelihood ratios (LR). Areas under the receiver operating characteristic curves (AUC) were used to determine the accuracy of the regression model. Results: Of the 24 PsA patients, 10 patients achieved an ACR50 response while 14 did not. Baseline 14-3-3 eta titres were predictive of an ACR50 response delivering a significant LR=5.53, p=0.02, AUC=0.75 which increased to a LR=8.35, p=0.02, AUC=0.83 when Δ14-3-3 eta was added to the model. Contingency analysis reveals that a post-treatment decrease as compared to no change or an increase in 14-3-3 eta titres in PsA patients reflected a 10.2 times greater likelihood of achieving an ACR50 response to adalimumab therapy (p=0.001) with a relative risk of 3.6 (95%CI 1.71 to 7.58). Δ14-3-3 eta correlated moderately with the following clinical response variables; ΔCRP r=0.58, p=0.004, ΔESR r=0.47, p=0.02 and ΔPASI r=0.49, p=0.02. 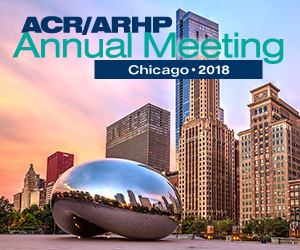 Consistent with published data, the ΔCRP reflected ACR50 response LR=5.98, AUC=0.74, p=0.01 with the model strengthened when 14-3-3 eta baseline positivity was added LR=10.1, p=0.006, AUC= 0.87. Conclusion: In PsA, 14-3-3 eta titres together with a decrease in the levels of 14-3-3 eta following treatment is independently associated with ACR50 response to adalimumab therapy. 14-3-3 eta enhances the predictive capacity of CRP and serves as a biomarker of treatment response for both RA and PsA.